I must have gotten winter on my mind because I keep making winter themed cards. 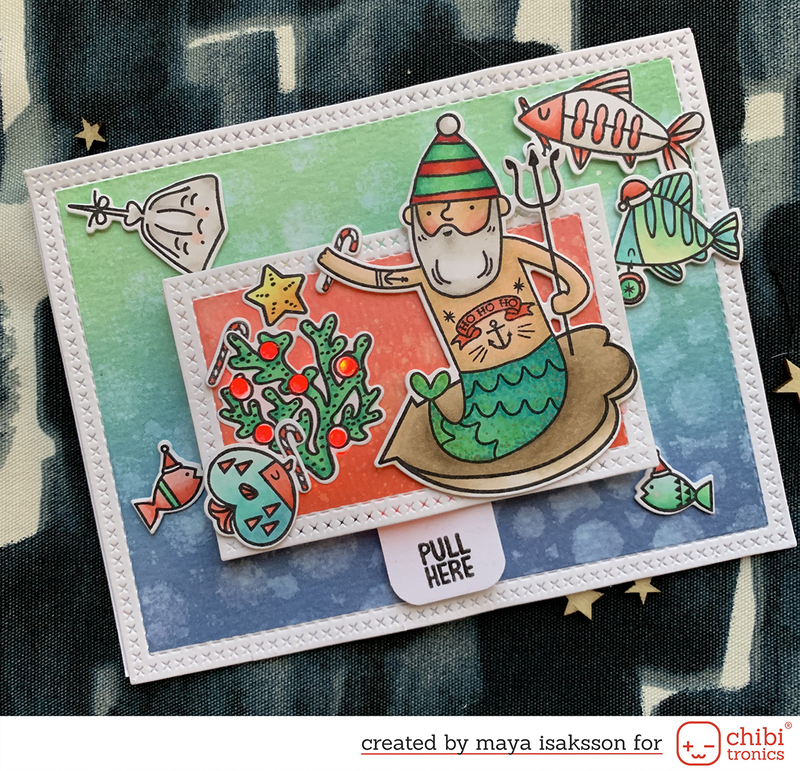 I made this for Design in Papers using a couple of stamp sets by Lawn Fawn. Baaah Humbug and Joy to the Woods were the ones I used. I made a small scene with the sheep and some birches and masked some snowy hills in the background. I think the sheep is super cute, he's colored with my Spectrum Noir markers. I'm keeping my fingers crossed that the winter will stay away for a while more. I wish it was spring already but I guess we can't just skip winter. That would be weird, right? I'll just keep making winter themed cards for a while more and remember what winter used to be with snow for months and no rain and grey skies (the fact that the sun didn't rise above the horizon for a month seems to have escaped my mind). I just really hate rain. I live in the wrong place. Oh, my, what an adorable card! Prepare to be CASEd!